As I "mature" (aka getting older... haha....), staying healthy and active have become really important, especially I have a young child. I want to provide a healthy lifestyle for our entire family. 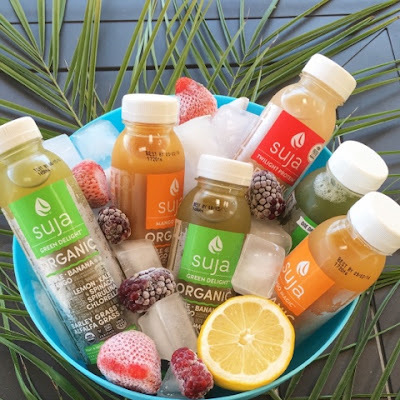 When Suja offered to sent me products to test, I was slightly skeptical. Before accepting the product, I did a little research first and found great things about the company. Also if the company is on Forbes list for most promising company, I say they have something and I am more comfortable trying the product. Hub kinda scoffed at the juice until he tried it. Initially he said "okay it's sorta good." By day 3 he was drinking one in the morning daily. We have tried this for about a week now and I must say I do like it. This juice is extracted using cold pressed method instead of high heat pressure, very savvy. This way all the nutrients remain intact, at least this is from all the reading I have done regarding coconut juice.